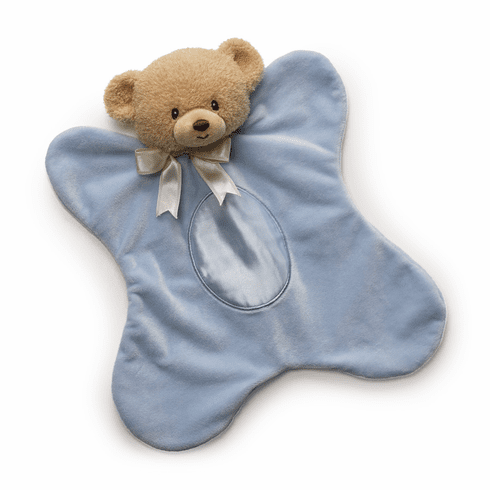 Teddi Blue SatineeSnug Personalized is a plush brown bear with a soft plush pink body and a silky satin belly. A great way to sooth a baby through touch and feel. Approximately 13 inches.